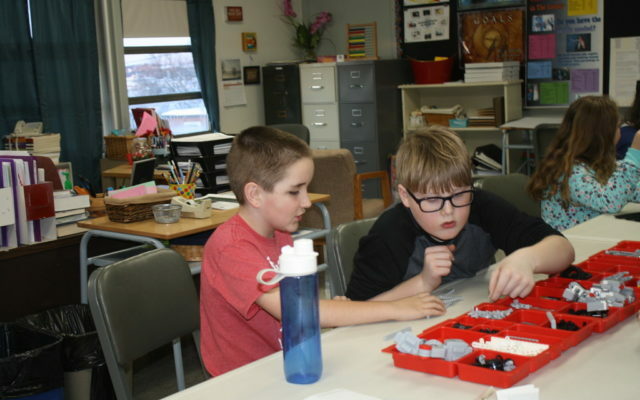 Robots may be few and far between in Aroostook County, but at Presque Isle High School’s Adult and Community Education center many youngsters have begun learning how to assemble their own technological helpers. 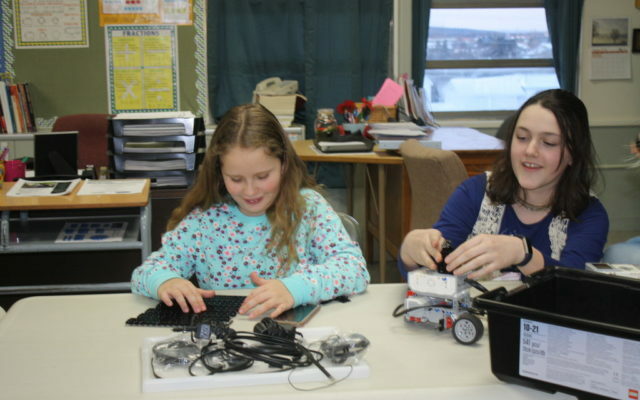 PRESQUE ISLE, Maine — Robots may be few and far between in Aroostook County, but at Presque Isle High School’s Adult and Community Education center many youngsters have begun learning how to assemble their own technological helpers. Seven students in grades 4 to 8 gathered on Thursday, Jan. 31 for the third class of Lillie Lavado’s KidzCode Robotics course and began preparations for building small robots that can move around on wheels, pick up items based on color and be programmed to perform other specific tasks. Lavado is the founder of HardScrabble Solutions, a family-friendly coworking space in Presque Isle, and a freelance web designer. She began teaching KidzCode classes, which expose children to basic computer programming techniques, soon after opening HardScrabble Solutions and has since offered the course at both Wintergreen Arts Center and at SAD 1 schools. Teaching a special KidzCode class for robotics has given Lavado the opportunity to have students take part in a hands-on activity while introducing them to the ways in which robotic technologies have changed the world. 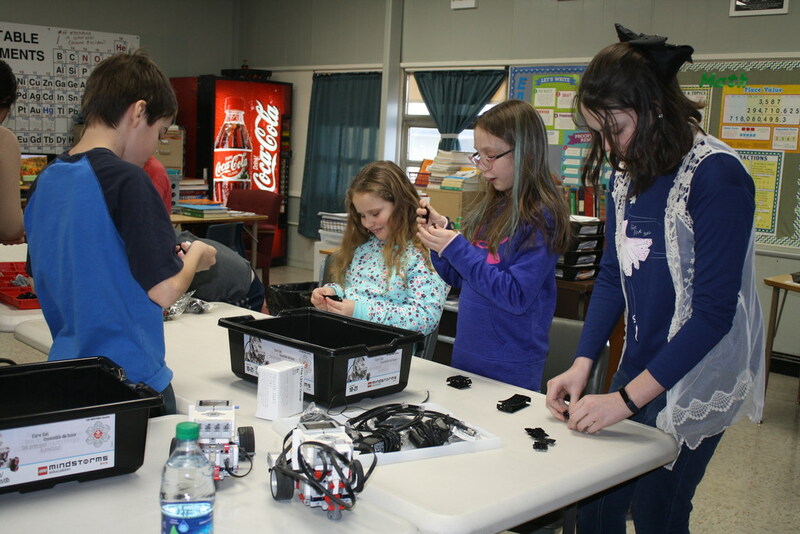 This past Thursday students were ecstatic as they began assembling the “conveyor belts” that will allow their robots to move and turn around on wheels. They also organized the many other parts available in the kits and thought about what they might want their robot to do for them. “I would probably want a robot that could go to school for me and do my homework,” said fifth-grader Delilah Chasse. Victor Ballerstein, 12, was also excited to experiment with the robot kits. “It would be cool if my robot could build stuff,” he said. KidzCode Robotics is an eight-week course that lasts until Thursday, March 14. Lavado hopes to offer the course in the future as a way to expand upon the Science, Engineering, Technology and Mathematics, or STEM, topics they already learn about during school. “It’s important for kids to have a more free-form environment where they can learn about STEM in a way that’s fun and accessible to them,” Lavado said.